Present complex processes with the help of Canva! Our top-notch infographic collection will easily translate blocks of data into visually appealing tools. Whether you're giving a step-by-step guide on how to brew coffee or showing how to best apply makeup for a night out, explaining a process can get tedious and difficult no matter how interesting the topic is. 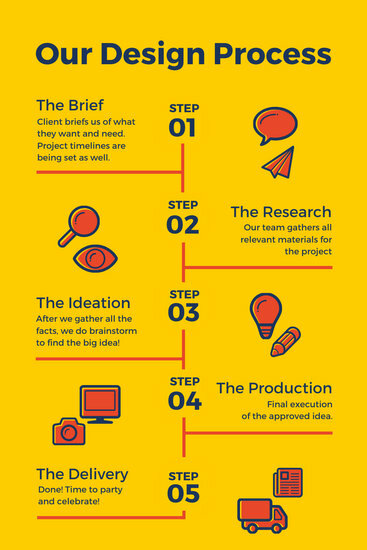 An infographic serves as a great tool to walk readers through any process in a fun, light, and compact way. All you need is be concise with the details you choose to plug in and be as creative as possible with the overall look of your design. Thanks to Canva's process infographic templates, creating informative and helpful designs for your school, office, or home is made easier and more enjoyable! 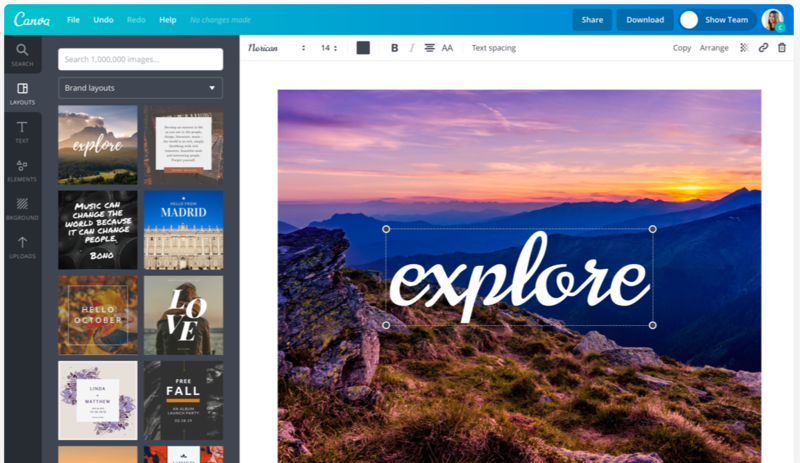 Simply select a template that suits the topic you want to discuss and switch up the colors and fonts using Canva's editing tools. 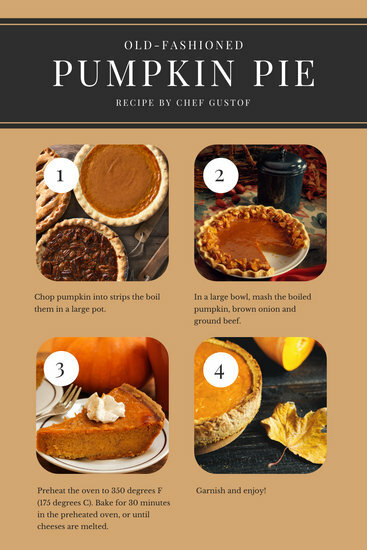 If you're creating an infographic to teach someone how to cook a dish, build a house, or any process that really needs detailed descriptions, it's best to plug in brief and complete steps for each part of the design with fonts that are clear and easy to read. You can make each infographic more informative and fun to read by inserting icons, stickers, and photos relevant to the topic you're discussing. Do this by browsing Canva's huge media library and positioning your chosen icons where you want. Don't forget to add a catchy title and other helpful details before saving your design. You can upload your infographic on any social media platform or print it out so you can use it in the classroom, office, or any space that needs it. And if you need to make changes, you can easily go back to our original design.